What is an Assured Equipment Grounding Conductor Program? An assured equipment grounding conductor program is an OSHA and NFPA 70E requirement that ensures the safety of temporary power cord sets (extension cords). The program is designed to prevent shocks or electrocution by ensuring the ground wire is electrically continuous from the equipment being used to the source. NFPA 70E article 110.6(A)-(B) states that where an employee is using an extension cord to operate tools or equipment while performing maintenance or construction activities supplied by 125 volts-GFCI protection is required. 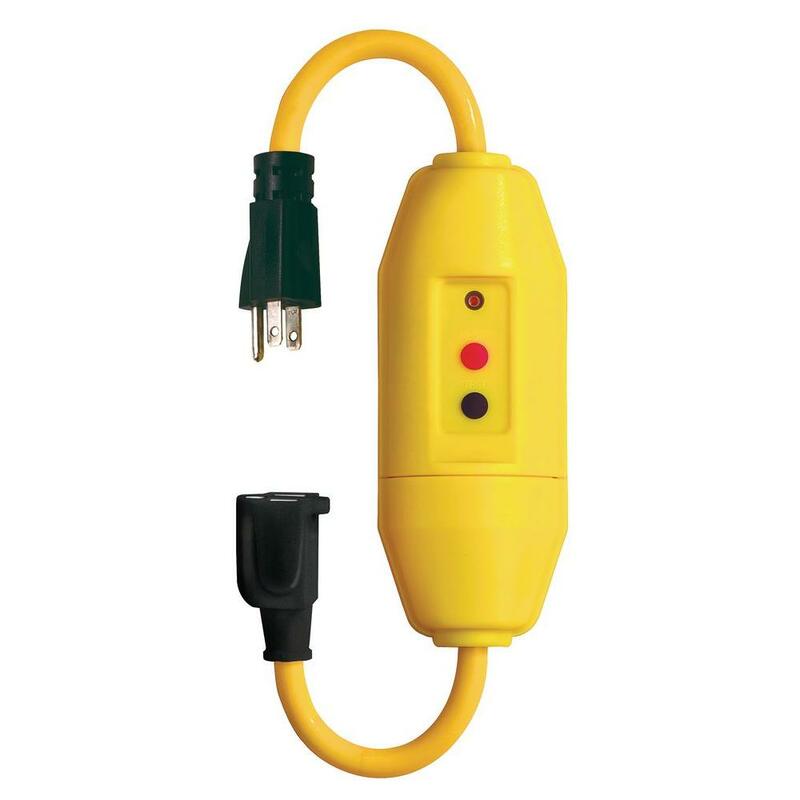 This requirement can be met through the use of a permanently mounted or portable type (see fig.1) GFCI. When temporary power cables are being used that operate at levels higher than 125 volts the employee can be protected through the use of a GFCI or the employer can develop and implement an assured equipment grounding conductor program. Back in the mid-90’s, I was working as a maintenance electrician for a large metal forming company in Northeast Ohio. I can remember being briefed about an accident that occurred a few years earlier. 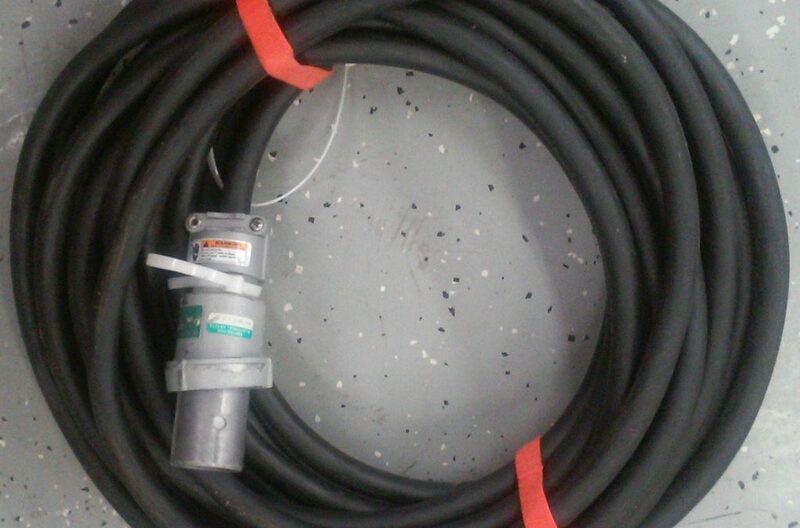 A die setter had been electrocuted because someone had wired a 480-volt extension cable incorrectly. He had placed one of the phase conductors on the ground terminal during assembly. This simple mistake ultimately resulted in a tragic accident. Both NFPA 70E and OSHA recognize the dangers associated with temporary power cables. Therefore, employers who use extension cables energized above 125 volts, are required to institute an AEGC or use a GFCI to prevent accidents like the one I have just described. How do I get the program started? A written description of the program is required and must to be available to affected employees. We recommend this be attached to your company’s written electrical safety program. The employer shall designate one or more competent persons to implement the program. A qualified person must ensure that all equipment grounding conductors are tested for continuity and shall be electrically continuous. Each cord set shall be visually inspected before each day’s use for external defects. This inspection is typically performed by the end user. Rozel recommends using a tried and true record-keeping system. The system requires the employer to develop a written log and then color-coding with tape after the qualified employee performs the test. The log keeps track of the date each piece of equipment is tested and its maintenance history. The tape indicates the status of the equipment. 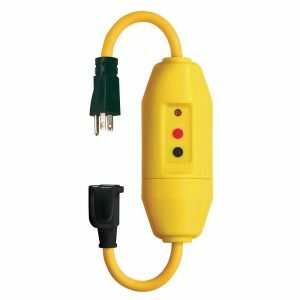 When an extension cord passes its test, it can be tagged with a tape color that relates to the time of year: white for winter, green for spring, red for summer and orange for fall. Once trained to the program, the end user can easily identify that the cord has been tested and is safe to use. Sign up to receive our monthly Newsletter & Safety Tips right to your email box. We will not spam you nor share your email address with anyone. Ever. Unsubscribe at any time. Are you as Safe at Home as you are at work?